Brussels residents are invited to information sessions taking place over the next few weeks regarding the proposed works to the Brussels ring road. There will be an info session in many of Brussels’ municipalities and in several cities in the periphery. 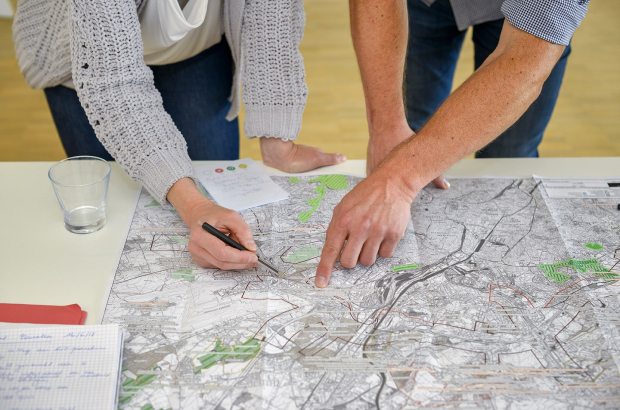 During the sessions, residents can also ask questions and offer their opinions on the possible alternatives for the works. Works include expanding the ring in some places, adding tram lines and bicycle lanes and rejoining green spaces that have become fragmented. The current plan calls for 20 new kilometres of road, though that has created some controversy and could be reduced in the final version of the plan. There will also be 40 kilometres of cycle paths and 60 kilometres of tram line, with fast tram routes to peripheral cities and to the airport. Part of the goal is also to stop car traffic from using shortcuts through cities in the Flemish periphery, and this is an area where Werkvennootschap, the Belgian agency organising the works, is looking to hear from residents. They are aware of particularly troublesome exits from the ring road and would like to hear commuters’ and residents’ experiences living near or using the road. The sessions will be carried out in French and Dutch in most of the Brussels locations, and in Dutch in the periphery, including Vilvoorde, Grimbergen and Meise.